A little German boy couldn’t understand why he wasn’t allowed to join the Hitler Youth. He wanted to enjoy the activities his friends participated in. And he admired their smart uniforms. His name was Hans-Jürgen Massaquoi. He was born on January 19, 1926, in Hamburg. His mother was a white German nurse. His father was the son of the Liberian consul in Germany. 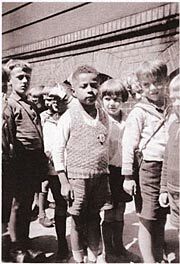 Hans-Jürgen was one of few black children growing up in the Third Reich. But the regime, while excluding him, did not persecuted him. He was not deported, or worse. Growing up in his wealthy grandfather’s villa, surrounded by white servants, young Hans thought being black made him superior. When the Massaquoi family returned to Africa, the privileges ended. Hans and his mother remained in Germany. His father, a college student in Dublin, had never paid much attention to him. His mother found a poorly paid hospital assistant job, and they moved into a tiny apartment. She brought her son up to believe he was German like everyone else. Yet he suffered racial abuse at school and in his neighborhood and was excluded from the Hitler Youth. In 1936, he went on a school trip to Berlin for the Olympics. There he saw black American Jesse Owens win medals. That inspired him. As the years passed, he was also barred from the military, further education, and prohibited from all professions. He was a second class citizen of Germany. He apprenticed as a machinist. At a required visit to a government-run job center, his assigned vocational counselor, a member of the SS, informed that he could be of great service to Germany. There would be a great demand for technically trained Germans to go to Africa to train and develop an African workforce when Germany reclaimed its African colonies. Of course, they lost the war and didn’t reclaim the colonies. After the war, Hans saved himself and his mother from starving by playing the saxophone for American merchant seamen in Hamburg clubs. 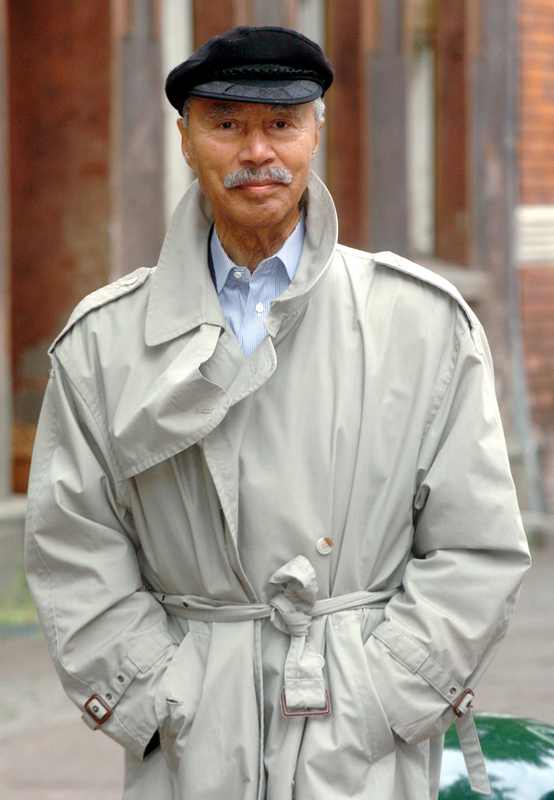 In 1947, he immigrated to the United States. He spent two years as a paratrooper in the 82nd Airborne Division in Korea, and became a naturalized U.S. citizen in 1950. He gained a degree in journalism under the GI Bill, and eventually became managing editor of Ebony magazine. He died on his 87th birthday in Jacksonville, Florida. The Nazis were quick to kill anyone who wasn’t part of their ideal Aryan race. Why do you suppose they left a young black boy alone? Very interesting article again. I can't imagine why they left him alone. With their mindset, you'd think he'd be the first one deported. It must have been a very lonely life for him until he immigrated to the US.